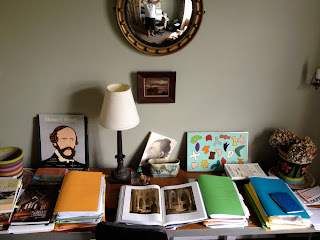 peterwellsblog. : How the New Yorker saved my life. I love motels and planes for writing. Something about the bareness, the absence of clutter is deeply encouraging. Transience too. The fact is my office at home is a claustrophobic nest of information. Just to enter it, at the moment, is to feel overwhelmed by information. It appears too close to me for my eyes to even focus. So going away, staying in a basically bare room, is both holiday and clarification for me. This past week I've been down in Dunedin, at the Hocken Library, researching 19th century HB newspapers. The fact is there are more complete runs of them in Dunedin than in Napier, due to the fire which followed the 1931 Earthquake. It's wonderful to access paper copies of early newspapers too. The jumble of information is deeply fascinating. So I had a great week research-wise. 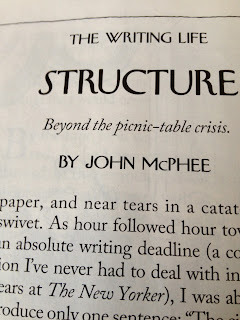 On the plane up to Christchurch I read an article by John McPhee in the NYer called 'Structure'. It's about the difficulty - and importance - of structure in a piece of nonfiction. By the time the plane landed at Christchurch (cheap flight, two hops from Chch and then Wgt) I had the first line of the first chapter of my new book. It somehow crystallised in the flight, while up the air, in that ideal space of possibilities. I had wanted to start the book in a particular place but hadn't been able to find the right words. Suddenly they came to me. I opened up my Mac, turned it on midflight and wrote them down. I sat at a table, having purchased a space with a gingerbeer and a slice of date loaf. I began writing the introduction to the book. I felt elated but also very sensitive to sound. I had a man sitting right beside me on his cell. He was leaving NZ for Australia - he had had chickens. There was a great deal of information about chickens. I tried not to listen - to hear. To concentrate and I sort of managed to. On the flight to Wellington I wrote a little more. In Wellington I relaxed over a beer and read another article in the NYer. It was now 5pm and I had left my motel in Dunedin at 11.25am. I thought I'd better go to the loo before the next flight. I had got a luggage cart to help me handle my computer and briefcase. I'm still having trouble with my hands and I find carrying any weight painful. The toilets on the main level at Wgt were closed, so the only men's toilets were down some stairs. This meant abandoning my luggage cart. I took my briefcase and went to the loo. But inside the loo I had a terrible realisation. My briefcase was too light. I suddenly realised I had left my computer in the luggage cart at the top of the stairs. I realised it had all my research for the past week - and I had had a breakthrough in the week. I hadn't backed anything up. And of course, with the new opening chapter for the book - I hadn't backed that up either. My whole book was on the computer. I raced back up the stairs in a white sweat. And suddenly, to my intense pleasure, there was my computer sitting in the top shelf of the luggage cart. 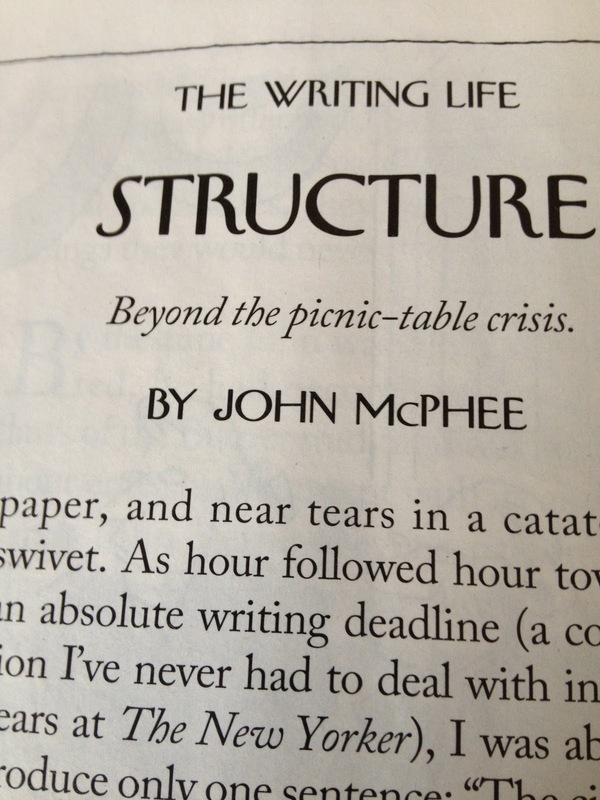 What had protected it was my copy of the NYer. The NYer was sitting on top of it, and anyone passing by, casually, might have thought it was just an abandoned magazine. I had my computer, my research, my unrepeatable first chapter. 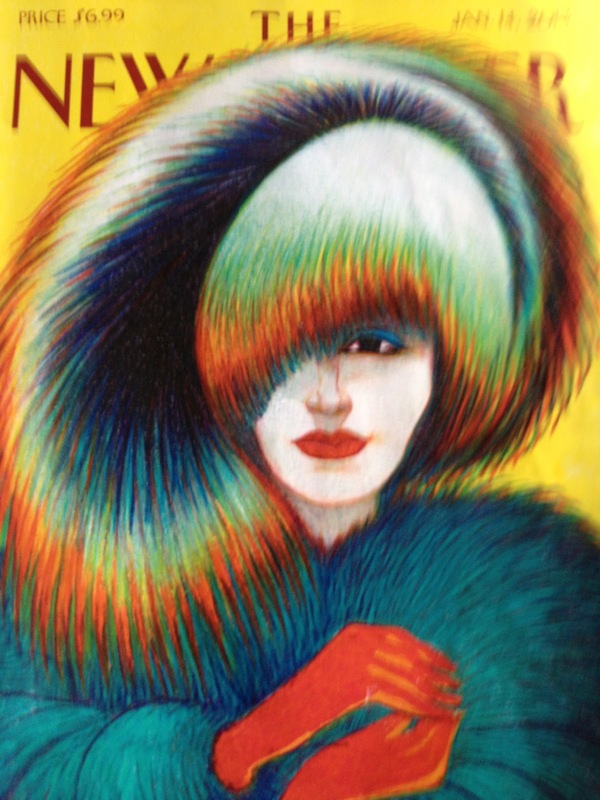 So here I give thanks to the New Yorker - again - you saved my life, my book, my sanity.